PDC Approved 3 star pole dancing instructor Clare Kuzniar. 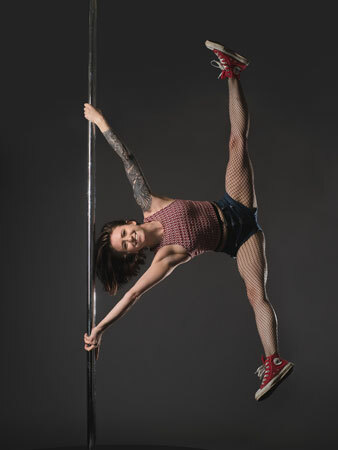 Clare started pole dancing in March 2015 before qualifying as an instructor with Spin City in April 2018. Clare has also undertaken a successful level 1 pole dance grading. Clare teaches at Pole Fitness Salisbury, UK. We interviewed Clare to learn more about her love for pole. 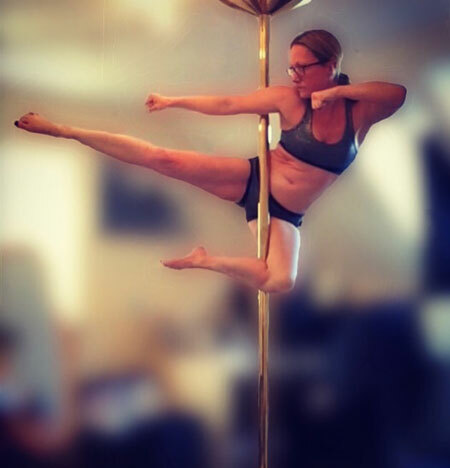 I started Pole Fitness in March 2015. What made you start pole dancing? I wanted to try something different that wasn't just weights or cardio so I tried it, loved it and haven't looked back. What did you do before you started teaching pole dancing? I was spending my evenings studying for accountancy exams. What is your favourite pole move? Butterfly into extended butterfly and I like handstands - there are so many variations! Kassia Portas achieves PDC Approved 4 Star Instructor Status. Kassia Portas started her pole journey in 2010 before commencing her teaching career in 2012. Kassia has not only acheived national competition success she is also the organiser of the much-loved Bristol Pole Championships. Kassia achieved her references from PDC Approved Instructors Anna Rohnbogner and Cath Ballantyne. Anna Rohnbogner said "Kassia Portas is an outstanding teacher with an exceptional understanding of anatomy and physiology in the context of pole dancing and associated injury prevention, prehab, rehab and mobility. Kassia’s instruction is second to none, proving to reward her students with technical, challenging and above all safe lessons for all levels. Kassia is incredibly generous at passing on her expertise, whether it’s pole moves or combos, teaching points or advice, and individual approaches to injury prevention and prehab exercises. Pole Dance Grading Success at Polelatis, Bridport, UK. PDC approved 4 star pole dancing instructor Ally Franklin held a pole dance grading day at her Dorest studio which saw all 5 students achieving grading success. Ally's students were delighted with their achievement. Pole Dance Gradings are a great way to chart your pole dancing progress as well as being able to share your success with friends and family. If you are interested in the grading process just e-mail us with the subject 'Grading Advice Please' and we can send you out a grading advice pack. Claire Jones (pictured left) - Level 4. Rachel Barrett (pictured right) - Level 3 Merit. I have been pole dancing for...it's gone so quickly I can't actually remember nearly two years now I believe (2016). PDC Approved 3 Star Pole Dancing Instructor Gemma Fielding. 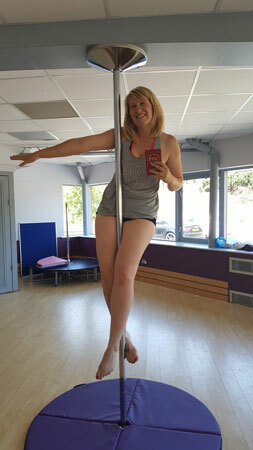 I first discovered pole waaaaaay back in 2008 when I did a brief 6 week introductory course, I absolutely loved it and bought a pole, But I soon fell pregnant with my first child and my pole gathered dust in my garage. IPDFA Pole Instructor Training Level 1 & 2, London UK. DISCOUNTS FOR PDC INSTRUCTOR and DANCER MEMBERS!!! PDC Approved IPDFA Pole Instructor Training Course will be held at The Factory Fitness and Dance Centre, 407 Hornsey Road, N19 4DX, London, UK. Beginners Level will be run from 09:00-18:00 on July 5th/6th and the intermediate level will run from 09:00-18:00 on 7th and 8th July. There is more information on the IPDFA website. Each course normally costs £550 each but PDC members pay just £440. E-mail us to be referred for your discount code. The normal price for booking both courses is £1025 but PDC members pay just £800. If you are not a PDC member but you would like to join as either an instructor or dancer member just e-mail us for full details.